Individually handcrafted from naturally shed antlers, these whistles make a unique sound, as well as a unique gift. Proudly hand made by the Lee Hyde family. 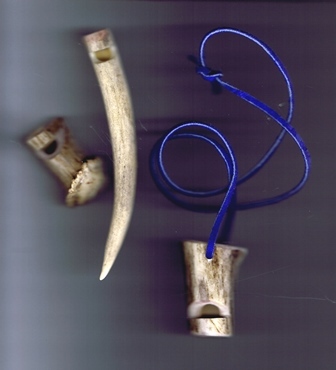 Whistles vary in size- most antler base whistles are approx. 2 inches long, antler tips are about 5 inches long.